Ojai, California -- Community Memorial Health System in partnership with Ojai Valley Community Hospital and the Rotary Club of Ojai are inviting the public to a free seminar that will revisit the Hippocratic Oath on Saturday, June 14. James Hornstein, M.D., will lead the seminar that will run from 9 to 10:30 a.m. in the Soule Park banquet room, at 1033 East Ojai Ave.
Physicians and nurses strive daily to do the right thing for their patients. The question is: What exactly is the “right” thing? Whose ethics and values are we using to define the right thing? Dr. Hornstein will discuss if the problems of American healthcare can be helped by the Hippocratic Oath. Learn more about this ancient but most respected source of medical ethics, and learn about the age-old problems of confidentiality, euthanasia and abortion. Dr. Hornstein is chairman of the Bioethics Committee at Community Memorial Hospital. He received his medical degree from UCLA in 1980 and a certificate in Advanced Studies in Bioethics from Loyola Marymount University in 1996. Dr. Hornstein has been a lecturer at UCLA, USC and other institutions, where he also has taught ethics in society and medical ethics. Admission is free, but space is limited, so reservations are suggested. Call 640-2355, or go online to www.cmhshealth.org/rsvp. The Ventura County Library has a new web-based resource to make it easier for you to maintain, repair, and follow service bulletins and recalls for your car, truck, van, or SUV. Containing the same trusted information as the popular print manuals, the ChiltonLibrary database offers complete and detailed repair information on thousands of vehicle make and model combinations. ChiltonLibrary can be searched from home as well as from within the Library. The database offers detailed step-by-step service instructions with photographs, illustrations, and vacuum and wiring diagrams. It also features maintenance and specification tables as well as troubleshooting and diagnostic help. Unlike the print versions of the manual, ChiltonLibrary is updated on a regular basis, ensuring that users always have the most up-to-date information at their fingertips. The newest version has an updated interface and contains a variety of other enhancements, including individual tabs for repair, maintenance and recall information, improved search functionality, clear navigation, and domestic and import vehicle information updated monthly. To find out more about how you can access ChiltonLibrary, contact your local Ventura County Library community library or visit the Library on the web at www.vencolibrary.org. 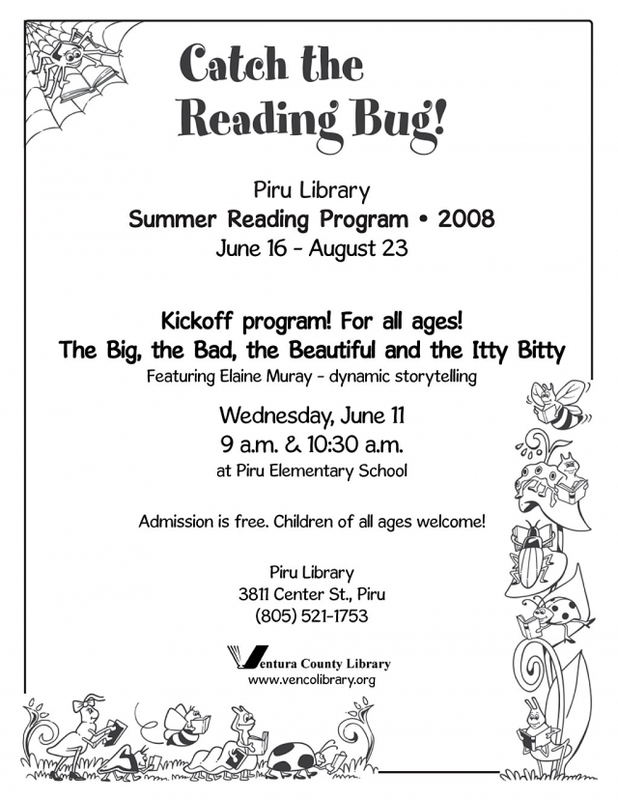 The Ventura County Library community libraries include the Avenue, H.P. 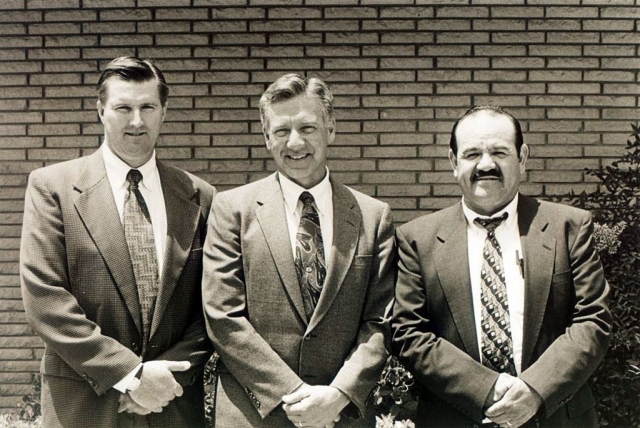 Wright, and E. P. Foster libraries in Ventura, Camarillo Library, Fillmore Library, Meiners Oaks Library, Oak Park Library, Oak View Library, Ojai Library, Piru Library, Ray D. Prueter Library in Port Hueneme, Saticoy Library, Simi Valley Library, and the Albert H. Soliz-El Rio Library. 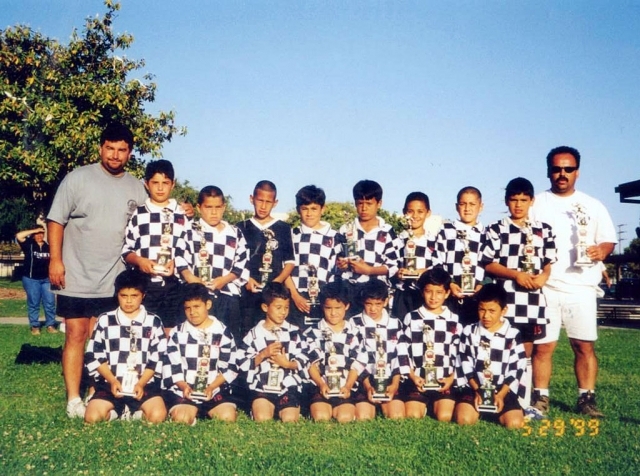 Fillmore High School Alumni game Saturday, May 30, 2008 at 10:00 am. Two-four inning games will be played by an over and under 30 team. Donations are $20.00 per player. 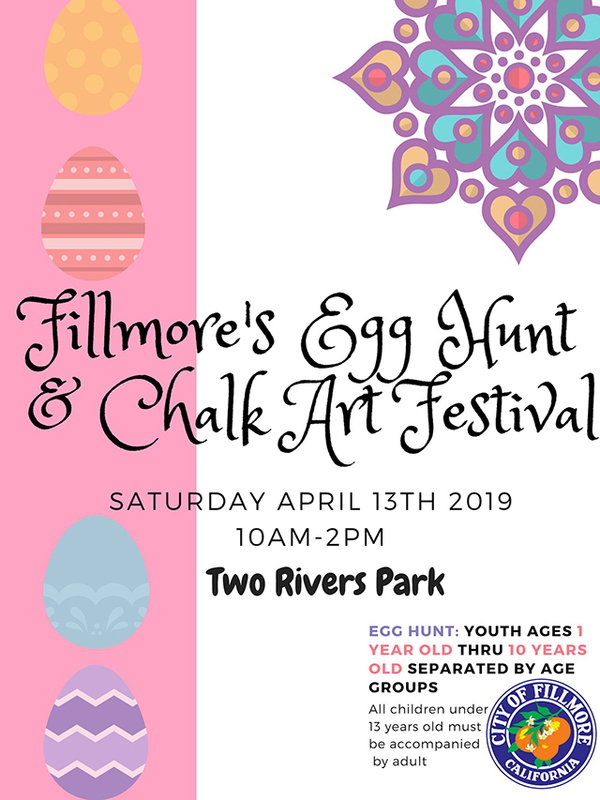 All proceeds will go to the Fillmore High School Softball Club. Thank you for your support Alumni Lady Flashes! Adventures in Agriculture is coming to the Ventura County Fairgrounds! The free event will be an educational and fun agricultural festival Saturday, May 31; 9 a.m. – 2 p.m. Antique Farm Equipment, Limoneira’s Giant Hot Air Balloon, Farmer’s Market, Children’s Activities, Entertainment, and more are on tap with a goal of educating visitors about the productive fields and agricultural assets here in our own back yard. The Great American Children’s Dell has more fun than you can shake a stick at! Pony Rides, Kid’s Tractor Pull, The Great American Petting Zoo, Farmyard Follies (Ed-Utainment Animal Show) and Gascar Crazy Animal Races. (Watch a race between a goat a pig a duck and a sheep!) Ventura County Fair’s Uncle Leo will be on hand to show the kids how to milk a cow! The youth group “Alma de Mexico” will perform traditional Mexican Dance in the authentic costumes of Mexico’s many states. Professional Bull Riding (America’s original extreme sport) will round out the day in the Grandstand arena. The show starts at 2pm and tickets for this special PBR sanctioned attraction are only $15. Tickets are on sale at the Fairgrounds Box Office. Wyndham Hotels, Toyota and many other generous sponsors make Adventures in Agriculture possible. Stop by the Wyndham booth and ask how you can get a free hot dog and soft drink! For more information please call 648-3376 or visit www.venturacountyfair.org. Since he was 9 years old, Michael Watson has always dreamed of becoming an Eagle Scout. He has worked many hours, and spent countless days and weeks fulfilling the requirements for this prestigious award. 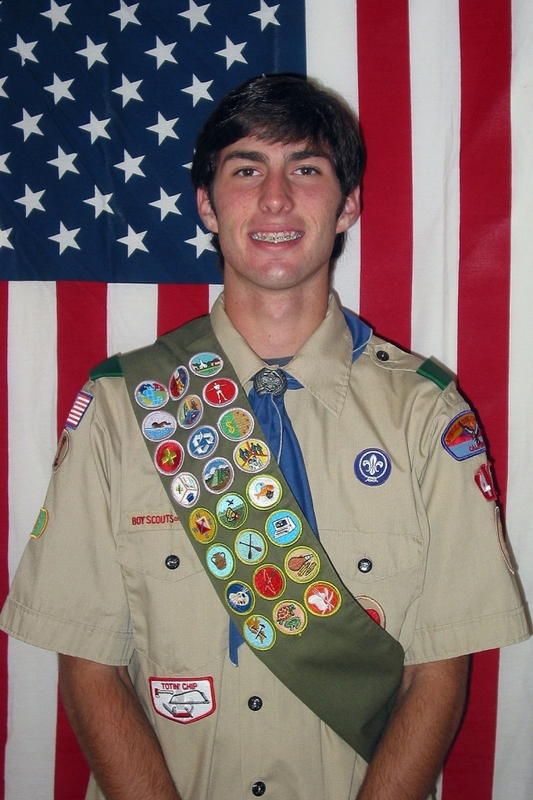 Michael, 17, of Boy Scout troop 411, will be honored at a special Eagle Scout ceremony Wednesday, May 28, 2008 at 7:00 p.m. The ceremony will be held at the Church of Jesus Christ of Latter-day Saints located at 1017 First Street, Fillmore, CA. The public is invited to attend. To earn Scouting’s highest award, Michael had to earn 23 merit badges, serve as a leader in his troop, and complete a major community service project. Michael’s service project took place at Fillmore High School. Leading nearly 40 Scouts, students, and adults, Mike cleaned, leveled and laid a concrete foundation for the Varsity Baseball team batting cage. The project took nearly five months to complete. This project was done with the help of donations from Cemex of Moorpark, Fillmore Rentals, Fillmore Building Supply, John Stevens Pumping, Borrmann Metal Center of Burbank, Fillmore Sunriser’s Rotary Club, Dan Garcia of Piru (contractor) and funds were donated by Larry and Judy Dunst as well as anonymous contributors. 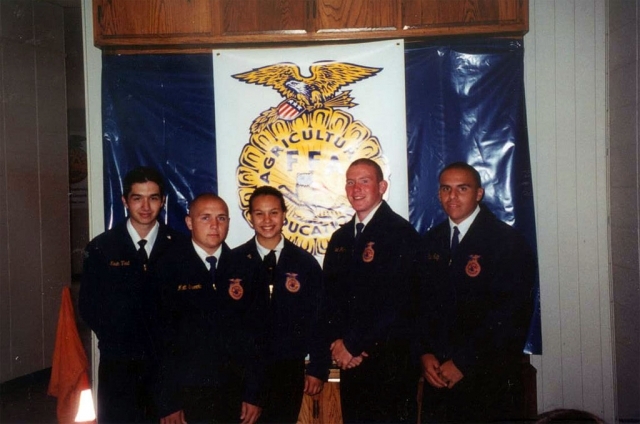 Michael has been a member of Troop 411, chartered to The Church of Jesus Christ of Latter-day Saints, since he was 11 years old. 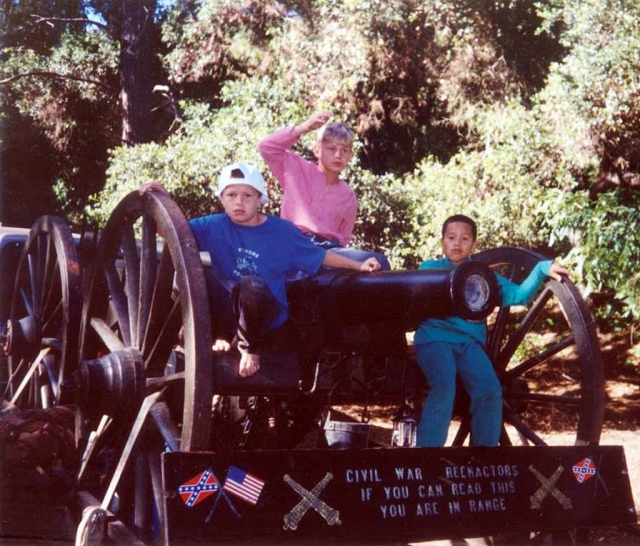 Mike joined the Cub Scouts while living in Burbank, CA, and continued his Scouting experience in Fillmore after his family moved to Piru. He has served as the troop’s Assistant Patrol Leader, Patrol Leader, and Librarian. 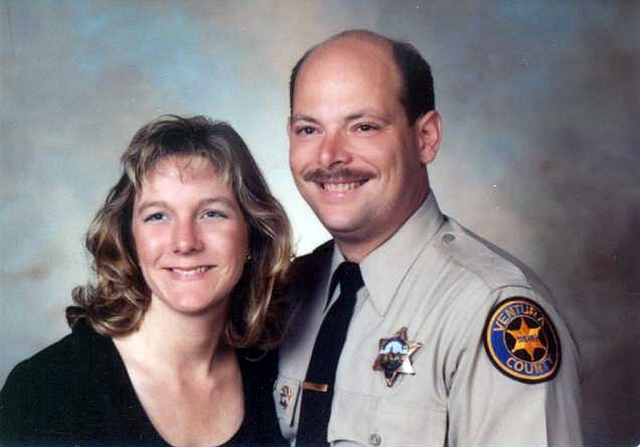 He has spent summers camping at Tahquitz and Chawanakee. Michael is a junior at Fillmore High School and currently has a 4.67 GPA. He participates in basketball and baseball, and is taking 2 AP courses. His goal is to attend Brigham Young University after he graduates but has not decided on a major. 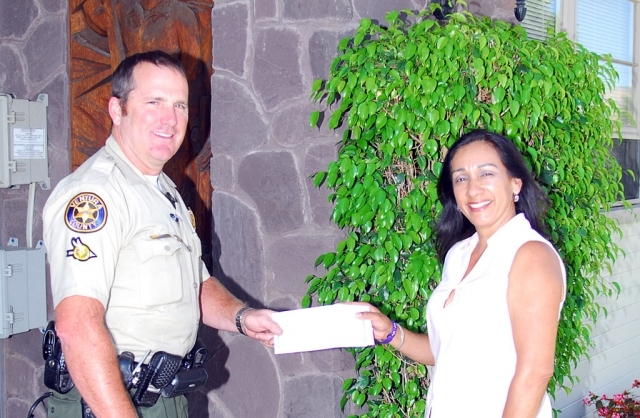 Annette Fox accepts a check in the amount of $200 from Deputy Biter who represented the Sheriffs Association. 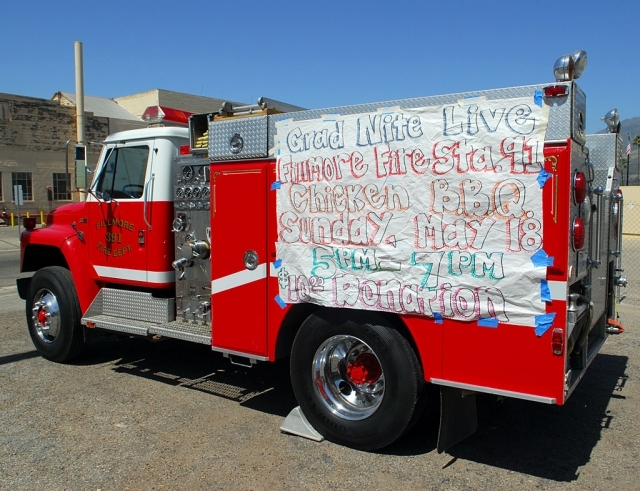 The Fillmore Fire Department (Grad Nite Live) chicken dinner was a huge success. The dinner brought in over $2200. All the food was donated for this event and Joe Ricards along with the volunteer fire department were out there helping with the BBQ. The winner of the $500 gas card was Tom Ecklund. 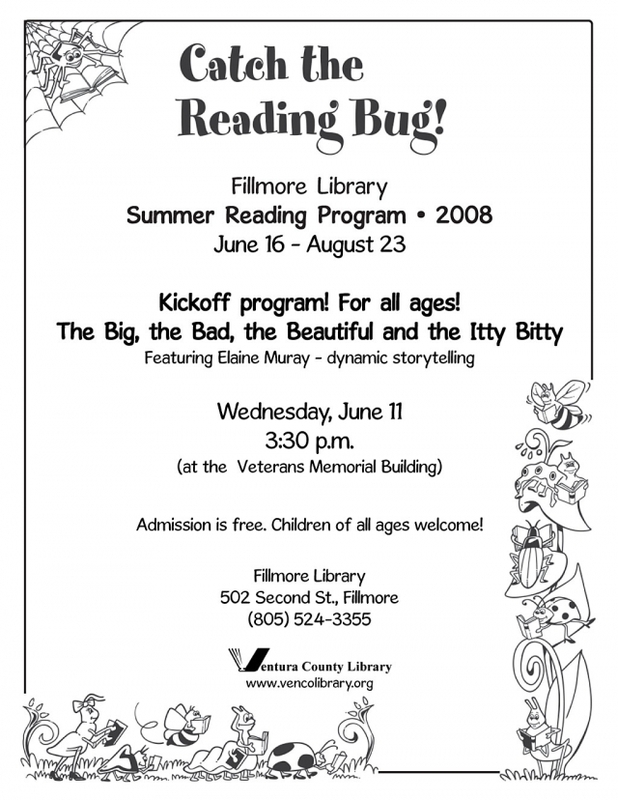 The Fillmore Friends of the Library will hold its annual meeting on May 24, 2008 at 10 AM at the library's 502 Second Street address. Awards for a Junior High School poetry contest will be presented and the organizations' current position and goals will be discussed. The public is welcome to attend. We are proud of this and other accomplishments! Message from Mrs. Larkin and Mrs. Schieferle (High School administration): "I just wanted you to know that the Healthy Eating, Active Communities project survey was a great success on Friday with our 9th grade PE/Athletic students. The three ladies who came from UC Berkeley were so impressed with our school and students. One of them was here two years ago when we did the first survey and could not believe the positive changes in our school especially the gym and cafeteria. They took many pictures of the cafeteria and students getting their lunches. They said that they have been to numerous schools (Middle Schools and High Schools) all over the state, and they feel that our school is meeting the healthiest needs of our students. 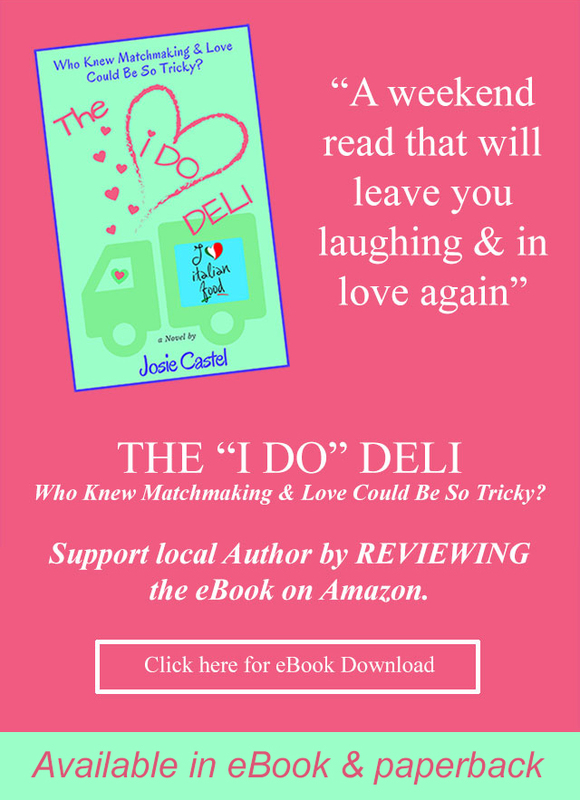 They loved the cafeteria's furniture, salad bar and BBQ. They said that they will miss coming back to Fillmore because it is a beautiful rural community and our students were friendly and respectful." Ventura – Services available to Ventura County veterans who may be living with Post Traumatic Stress Disorder (PTSD), will be highlighted at the Ventura County Board Of Supervisors meeting today, Tuesday, May 20 at 8:30 am, in the Hall of Administration, 800 Victoria Ave in Ventura, in honor of the upcoming Memorial Day weekend. Immediately following the board meeting, a tour of the One Stop Center, which serves local veterans, among others, will be offered by third district Supervisor Kathy Long and fourth district Supervisor Peter Foy. The One Stop Center is located at the Public Health Auditorium, 3147 Loma Vista Road, Ventura, 93003. Media is invited to attend and cover the tour (at approximately 12 noon). Photo and interview opportunities with the supervisors, Mike Powers, Director of the Health Care Agency and US Navy Capt Brad “Brick” Conners from Naval Base Ventura County will be available. “PTSD is just one of the many issues vets in our county are dealing with. As a first stop for many vets looking for help, we want to direct vets to the services provided by the county and our partners, as well as local health and mental health care providers,” said Supervisor Kathy Long who co-chairs the Health Care Oversight Committee with Peter Foy. According to the RAND Corporation, PTSD affects veterans from World War II, the Korean and Vietnam Wars, the Gulf Wars and the current wars in Afghanistan and Iraq. The RAND study estimates that 20 percent of all Iraq and Afghanistan veterans suffer from PTSD or major depression – over 300,000 soldiers in all. Captain Brad “Brick” Conners, Commander of the Naval Base Ventura County, and home to over 18,000 sailors, enlisted personnel and civilian employees, will present the Board of Supervisors with a Commanders Commendation for the county’s efforts to combat PTSD. “This county has a great quality of life and we want to recognize the county’s health care agency for all they do to help our navy vets in this area,” said Captain Conners. Are you interested in help in the Fillmore Town Theatre? 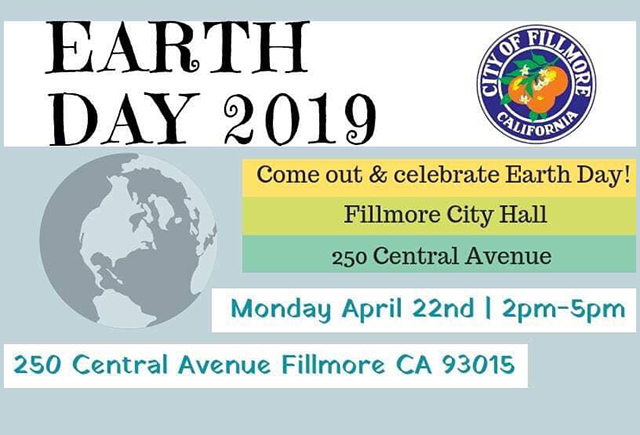 A group of citizens, headed by Douglas Tucker, will be meeting to brainstorm, volunteer and assist on May 26th, 5:30 p.m. at Fillmore City Hall. If you are interested in participating with this project please attend. The agenda will include a tour of the theatre, discussion on what has already taken place, future plans, and a brainstorming session on what to do next. Elizabeth Leeanne Elkins, known as Bettie, was born on June 6, 1906 in Fillmore, California. 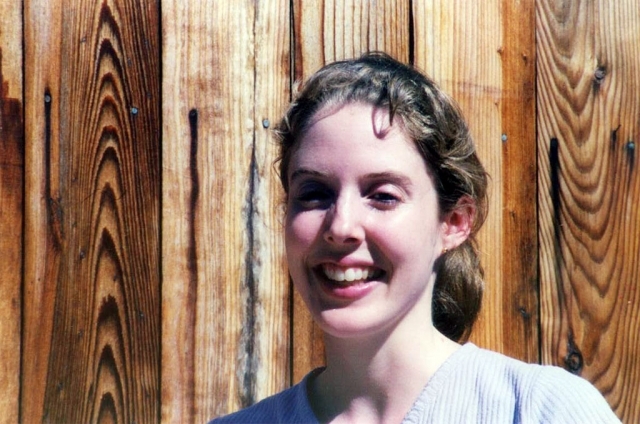 She was the daughter of Caswell Carl Elkins, Jr. and Amy Fay Anderson Elkins. 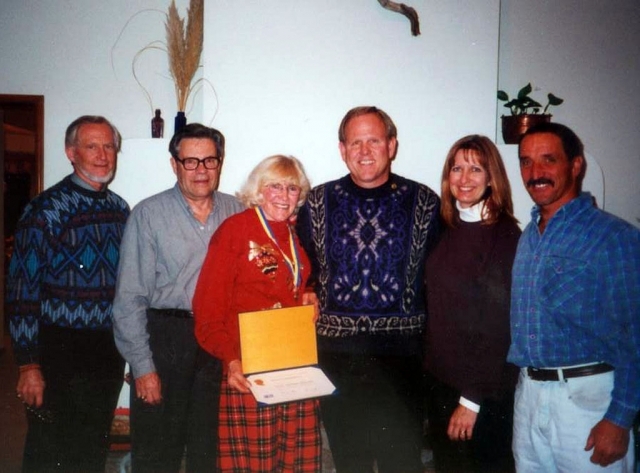 She and her older brothers, Herbert and Caswell, and a younger sister Roberta, spent their childhood on the family’s citrus farm in the Santa Clarita Valley. She became interested in aviation at the age of nine when she won a ride in a Curtiss Jenny by selling magazine subscriptions. But it wasn’t until after her marriage in 1929 to the famous stunt pilot Frederick M. Lund that her own career in aviation began. 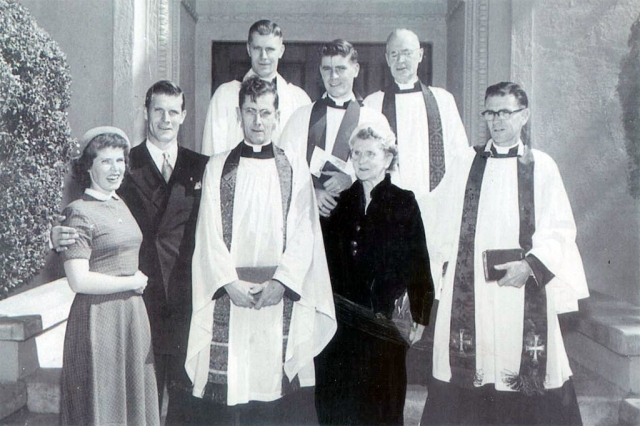 Frederick was born in Alexandria Township, Minnesota and also grew up on a farm. He left home to become a mechanic and soon thereafter World War I commenced. He joined the Air Service and was sent to Texas for training and then on to serve in the 4th Pursuit Squadron at Toul, France. While there he was exposed to mustard gas and nearly died. He contracted tuberculosis following the war and returned home to the United States where he was not expected to survive. Lund ultimately overcame the disease and hired on with the Gates Flying Circus as a stunt pilot, working for a while in Hollywood, where he picked up the nickname of “Fearless Freddie.” He then hired on with the Waco Aircraft Company as a test pilot and traveled around the country performing in stunt exhibitions. It was during one of those barnstorming circuses that Bettie and Freddie met and developed a romance that in 1929 led to marriage. Bettie followed him around the country to air meets during the depression between 1929 and 1931. In his red, white and blue Waco Taperwing airplane, Freddie Lund was well known throughout the nation for his daring aerobatics. Freddie performed the first outside loop ever accomplished in a commercial airplane. He was the World Aerobatic Champion in 1930. Between performances he taught Bettie how to fly. Because their schedule required them to travel so much, Bettie learned to fly in thirteen hours at thirteen different airfields using thirteen different airplanes. Bettie’s first solo flight occurred in Miami, Florida in 1930 in a Curtiss Fledgling. Because her flying lessons had taken place at busy airfields, usually during air meets, she had virtually no taxi instruction, so she was told after her first solo flight to just roll to a stop and not move until Freddie got there. After she completed just three solo flights for a combined twenty minutes, Freddie thought it was time for her to attempt her first record. She responded by setting a new women’s barrel roll record of sixty-seven in just twenty-eight minutes. In addition to her aerobatics, Bettie competed in air races and dead stick landing contests. Thereafter, Bettie and Freddie Lund became one of the most famous husband and wife flying teams of the era. On October 3, 1932, Bettie watched as her husband competed in a pylon race in Lexington, Kentucky. As he was turning around one of the pylons, Freddie was leading another plane when its propeller hit the tail of Freddie’s plane cutting off it’s stabilizers. He crashed to the ground in seconds and was killed instantly. She eventually flew two more air shows to fulfill Freddie’s contracts and then retired for a number of weeks to ponder her future. 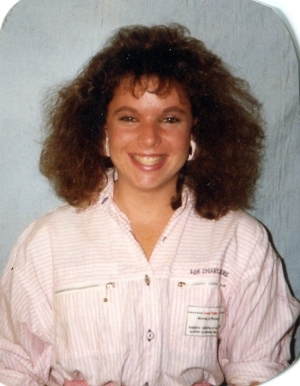 She then went out and bought herself a Waco Taperwing, painted it red, white and blue like Freddie’s, and started out on her own solo career. 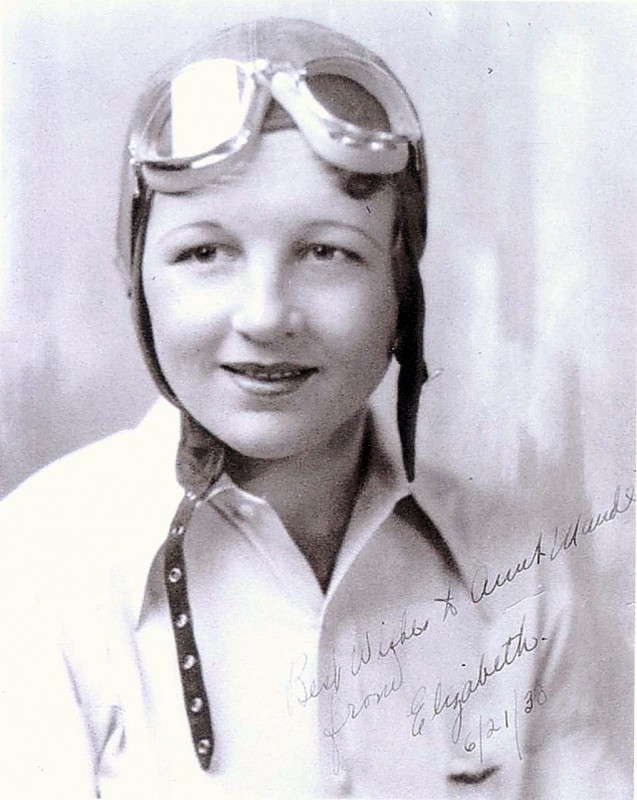 By the late 1930’s she was one of the country’s top stunt pilots. During her career, Bettie would meet and become friends with both Eddie Rickenbacker and Jimmy Doolittle. She also served as a WAF during World War II and transported airplanes from the manufacturing plants on the west coast to the east coast where they were later transported to Europe for use against the Axis powers. Discover the rewards of foster parenting at the Foster Parent Information Meeting. English only. Please call 805-654-3456 for more information. PLACE: Human Services Agency, 4601 Telephone Road, Suite 112, Ventura. June 9 & 10, 2008: Resumes that Sell, 9:00 a.m. – 4:30 p.m. - two-day workshop providing hands-on assistance in completing a resume, cover and thank-you letters. Walk away with a portfolio that shows off professional skills and experience. Career Shops are offered at no cost to Job Seekers. Space is limited. Prior registration required by calling the Santa Clara Job & Career Center at 805-933-8452 to enroll. June 12, 2008: Winning Interviews, 9:00 a.m. – 4:00 p.m. - supplies the tools to make a lasting first impression when interviewing. Career Shops are offered at no cost to Job Seekers. Space is limited. Prior registration required by calling the Santa Clara Job & Career Center at 805-933-8452 to enroll. June 23 & 24, 2008: Resumes That Sell, 9:00 a.m. – 4:00 p.m. - two-day workshop providing hands-on assistance in completing a resume, cover and thank-you letters. Walk away with a portfolio that shows off professional skills and experience. Career Shops are offered at no cost to Job Seekers. Space is limited. Prior registration required by calling the Santa Clara Job & Career Center at 805-933-8452 to enroll. June 18, 2008: Tecnicas para la Busqueda de Trabajo (Job Search Techniques), 8:30 a.m. – 12:30 p.m. - Presentado por Los Centros de Empleos y Carreras Esta sección de 3 a 4 horas está diseñada para personas que están buscando empleo. Los temas incluyen donde y como buscar empleo, como crear una red de comunicación, técnicas de cómo usar el teléfono apropiadamente para buscar empleo y como usar la red del Internet para buscar empleo. También aprenderá técnicas apropiadas para hacer una entrevista. Career Shops are presented in partnership with Ventura County Job & Career Centers and are sponsored by the Human Services Agency and the Workforce Investment Board. Equal opportunity Employer/Program/Service – TDD/TT Inquiries call 1 (800) 735-2922. 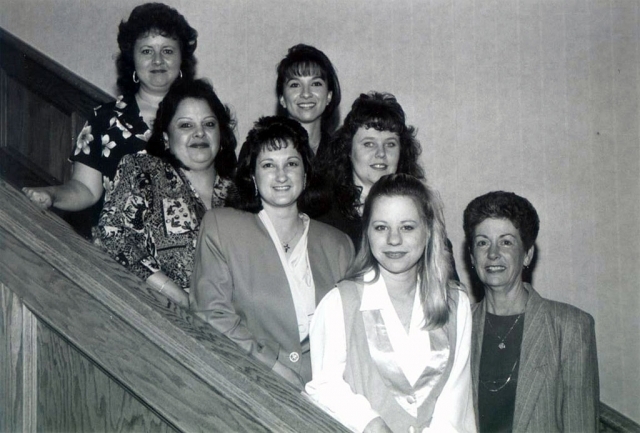 Auxiliary aids and services are available upon request to individual with disabilities. Ventura – United Blood Services needs to collect over 3,000 pints of blood before the Memorial Day weekend, in order to ensure a steady and ample supply. ­­­Memorial Day marks the beginning of summer for the Blood Bank, when donations unfortunately decrease just as the demand increases. In an effort to keep a ready supply, United Blood Services has teamed up with Domino’s Pizza to issue a 3000 Pint Challenge. As a special way of saying thank you, Domino’s Pizza will give a certificate for a Free Full Size One-topping Pizza to each volunteer blood donor. The Memorial Day holiday means that the difficult summer season has arrived. Here at the blood bank the summer months mean one thing – not enough blood donors to keep supplies at an adequate and steady level. Students are not available to give and families go on vacation instead. There are a hundred reasons why people can’t seem to give over the summer, but we’ve got 270 reasons each day why we need them. We can only help people if there is blood on the shelves. When someone needs blood, they’re counting on it being available. That means we need 270 people to roll-up their sleeves for us each day, regardless of the season. We’re asking you to give before you go on vacation, we can’t do it without you. If you’re over 17, weigh at least 110 pounds and are in good health, you may be eligible to donate. Donations may be made Monday through Friday at the UBS Center in Ventura at 1756 Eastman at the corner of Market; Mondays and Wednesdays in Camarillo at 2105 Pickwick across from the Post Office; and Tuesdays and Thursdays in Thousand Oaks in the North Star Plaza at 1321 Thousand Oaks Blvd, near Roxy’s Deli. There are also a number of drives happening throughout the region. Donors are asked to call the United Blood Services at 1-800-715-3699 to make an appointment or go online to www.unitedbloodservices.org. Appointments are appreciated, but not necessary. Walk-ins are also welcome. Pat English, Director of Social Services from Twin Pines Healthcare will discuss different kinds of care available; whether It is adult day care, assisted living, residential care or skilled in home health care. Let Pat help you with one of the most important decisions you will make in the near future. Come get all your questions answered. 111 N. 8th Street, S.P. 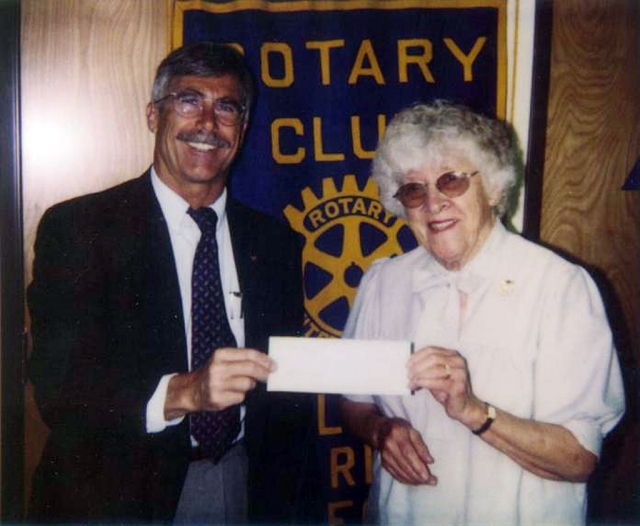 Supervisor Kathy Long was the guest speaker at the Fillmore Sunrisers Rotary Club last Tuesday. Left to right: Ken Smedley, Sun Risers president; Supervisor Kathy Long; Chuy Ortiz, owner, El Pescador Restaurant. 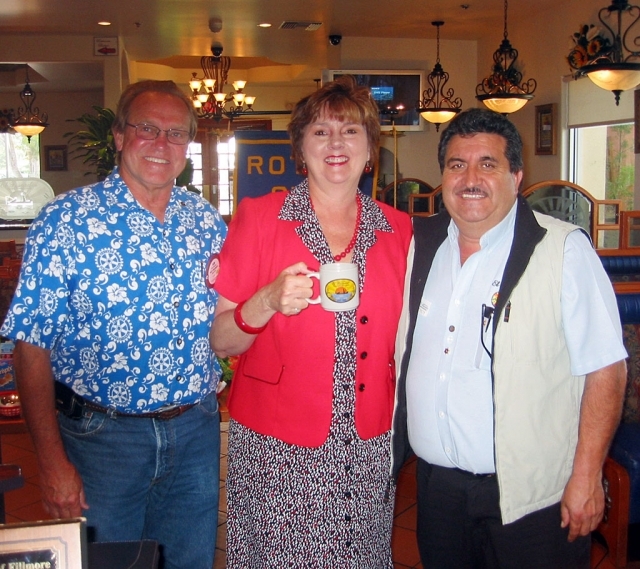 Supervisor Kathy Long was the guest speaker of the Rotary Club of Fillmore Sun Risers on May 13th at El Pescador Restaurant. Supervisor Long gave an overview of county government activities and how they affect Fillmore and surrounding areas. 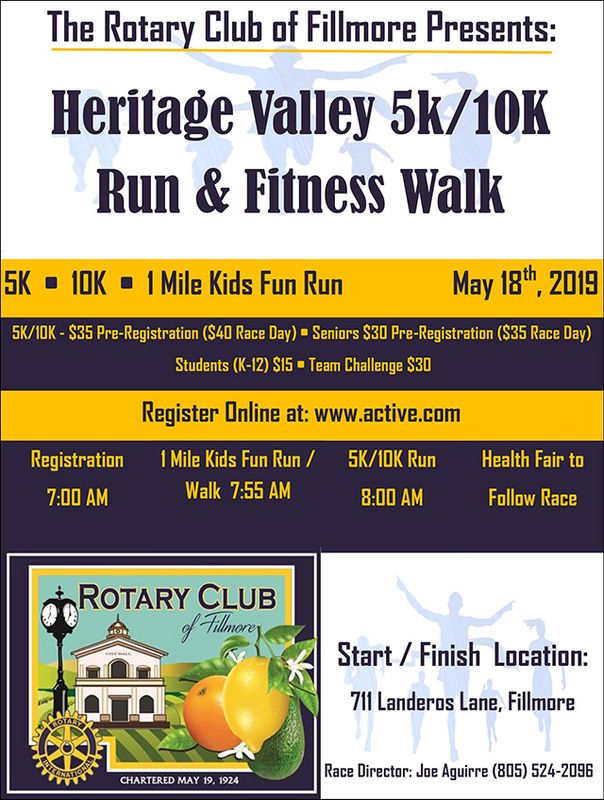 The Sun Risers are sponsoring the Heritage Valley 5k-10k Run & Fitness Walk on Saturday, May 17th. The race begins at 8:00am at Delores Day Park; registration begins at 7:00am. If you don’t feel like running or walking, come enjoy the free Health Fair at the Park! All proceeds from the run/walk will benefit Fillmore school fitness programs. The Fillmore Rotary Sun Risers will have their fireworks booth again this year in the parking lot of McDonald’s. All funds raised go to Community and International projects. Upcoming speakers include: May 20th – Kay Hodges, CEO, Letters from Home; May 27th – Jeff Gorell, partner Paladin Principle, Clearwater Port Update. The Fillmore Rotary Sun Risers meet weekly at El Pescador Restaurant, 1305 Ventura Street (Hwy 126) at 6:45am every Tuesday. 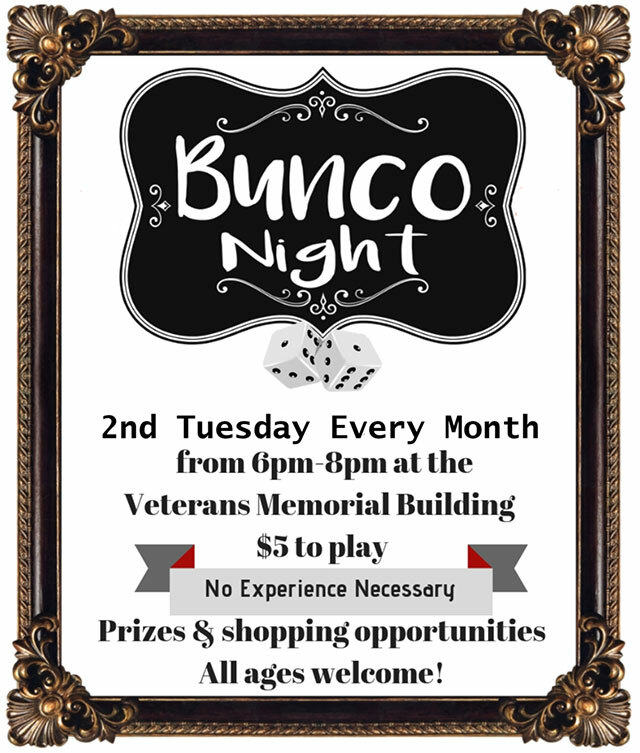 For more information, call 906-4114.